Born Free is calling for a full and urgent investigation into Dolphinaris dolphinarium in Arizona, USA, where four dolphins have died in less than 16 months. Dolphinaris recently announced it had put to sleep 22-year-old bottlenose dolphin Kai’nalu. Kai’nalu’s death follows that of Khloe who reportedly died of a chronic illness in December 2018, Alia in May 2018 and Bodie, who reportedly died of a fungal infection in September 2017. In the aftermath of Kai’nalu’s death, Dolphinaris has announced it will temporarily close and will be visited by an external panel of experts who will ‘’re-evaluate the facility, environmental factors and all aspects of animal welfare at the facility’’. 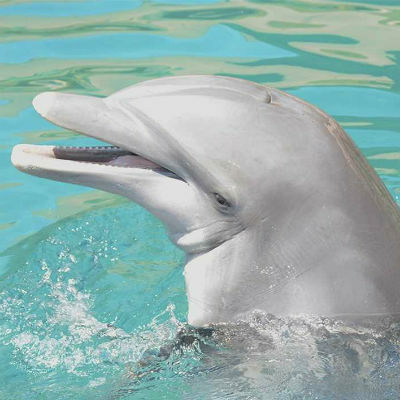 Dolphin Quest, one of the companies responsible for loaning dolphins to Dolphinaris, has also terminated its animal loan agreement with Dolphinaris. In response to these announcements, Born Free is still supporting calls for the remaining four dolphins to be moved from Dolphinaris and for the Animal and Plant Health Inspection Service of the United States Department of Agriculture to conduct a full investigation of Dolphinaris as a matter of urgency.